For myself, I know that I struggle to let go of 'Matchy, Matchy'. Being brave in mixing harmonious colors and finishes is the challenge for me. But I've learned from my designer daughter that to get an outstanding effect, we have to take chances in colors as well as pattern finishes and textures. I look at design blogs and Pinterest boards and am amazed at how far you can push the boundaries and still create a striking, cohesive look. 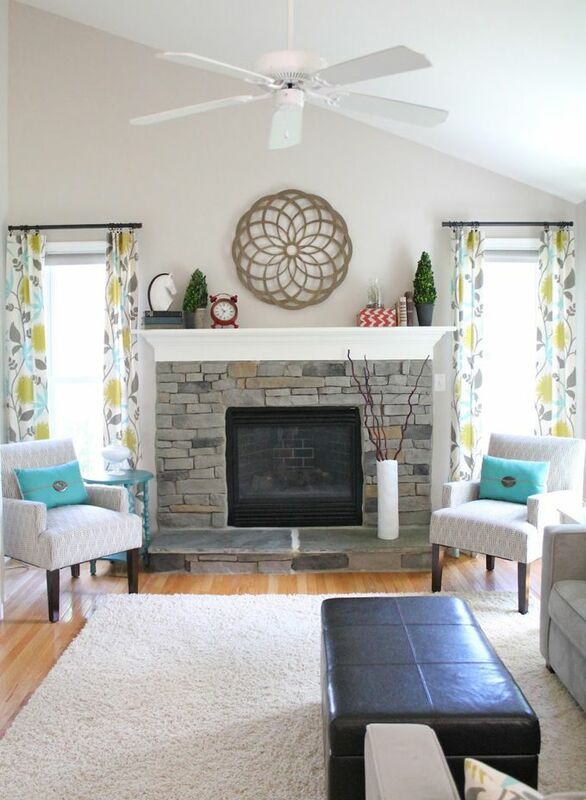 Designer Lisa Farmer of Lexington, Kentucky, in her blog Eye For Design says, "Think big, bold floral prints, bright colors and contemporary designs to keep your floral themed decor fresh...you can choose from modern and elegant bold floral designs to complement your contemporary décor." Floral patterns are in and always will be. House Beautiful suggests taking a fearless approach, mixing patterns to modernize the overall look. We love our gardens and outdoor spaces and bringing the color and organic shapes inside will never be off trend. 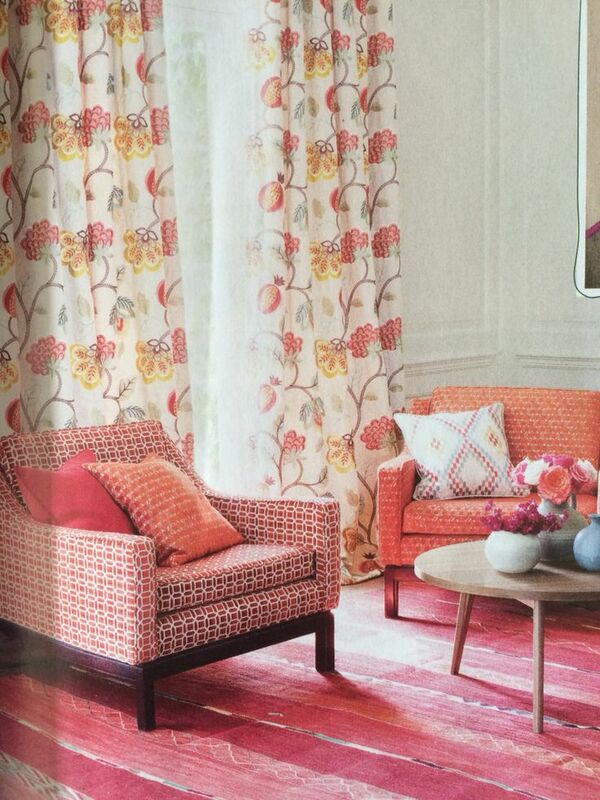 This year’s hottest wallpapers and printed fabrics feature floral motifs. Be brave with large scale patterns, vibrant hues and big, bold blooms. These are not your Grandmother's florals...although I am a grandmother now so I've decided that grandmothers aren't as old as they used to be!